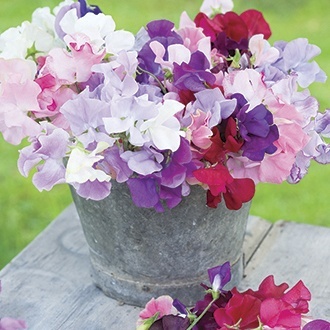 A mass of delicate colour throughout the summer, our specially blended mix contains self's, bicolours, flakes, marbles and picotees and all have the most delightful fragrance. The more you pick, the more they’ll flower! Our NEW garden ready plugs are perfect if you don’t have the space or time to grow plants on. These extra large plug plants will arrive fully ‘hardened off’ and be ready for immediate planting outside.